O γερουσιαστής Glenn Lazarus που επιχειρεί ως ανεξάρτητος πλέον, να επανέλθει στην Άνω Βουλή της χώρας και θεωρείται ως ένα από τα φαβορί της κάλπης του Σαββάτου, ανακοίνωσε ότι αν επανεκλεγεί θα δώσει μάχη ώστε να επιτύχει την αύξηση της σύνταξης γήρατος κατά 20%. Ο Glenn Lazarus εκλέχθηκε για πρώτη φορά στην Γερουσία το 2013 με το τότε κόμμα του μεγιστάνα επιχειρηματία Clive Palmer, κόμμα το οποίο δεν κατεβαίνει στις εκλογές του Σαββάτου. Πρέπει να επισημανθεί επίσης ότι τόσο αυτός όσο και η επίσης ανεξάρτητη επί της παρούσης γερουσιαστής Jacqie Lambie που και αυτή εκλέχθηκε για πρώτη φορά στην Γερουσία με το κόμμα του Clive Palmer, θεωρούνται οι επικρατέστεροι ανεξάρτητοι γερουσιαστές που θα επιστρέψουν στην επόμενη κυβέρνηση. Ο κ. Lazarus εκλέγεται στην πολιτεία του Queensland όπου και έκανε την επίσημη ανακοίνωση του προγράμματός του. Όπως είπε εκτός από την αύξηση της σύνταξης γήρατος θα επιδιώξει και την καθιέρωση ενός εθνικού συστήματος παροχής εκπτώσεων στους μη προνομιούχους πολίτες της χώρας προκειμένου να είναι σε θέση να αντιμετωπίσουν τις συνεχείς πιέσεις που ασκεί στην ποιότητα ζωής τους, η αύξηση του κόστους διαβίωσης. Triple-threat talent George Missailidis to attend the first Dance Immersive in L.A. The much anticipated Dance Immersive, in its first collaboration with the highly acclaimed Hollywood Immersive, takes off this week in L.A. Dancers from around Australia aged 12 to 18 years auditioned to attend the first Dance Immersive that kicks off from Saturday 25 June – a super intensive week for all the young dancers to present their own showcase to industry professionals. This is a once-in-a-lifetime opportunity that might see any of them secure a contract with a reputable U.S talent agency and take their career to the next level. A private chef will stay with the young dancers in their Beverly Hills villa and they will be woken every morning by a personal trainer to go for a run through the L.A canyons before master classes with some of America’s most renowned choreographers including street dance legend Anthony Thomas, and Brian Nicholson who has choreographed performer Ariana Grande. Director of Head Start Dance and Dance Immersive presenter, Bessie Kay, says only 15 young dancers from around Australia have been selected. George Missailidis, 12, is one of the youngest Melbourne representatives chosen. Proud parents Nick Missailidis and Maria Mastoropoulos say their son “was jumping for joy when he was told he was heading for Hollywood”. 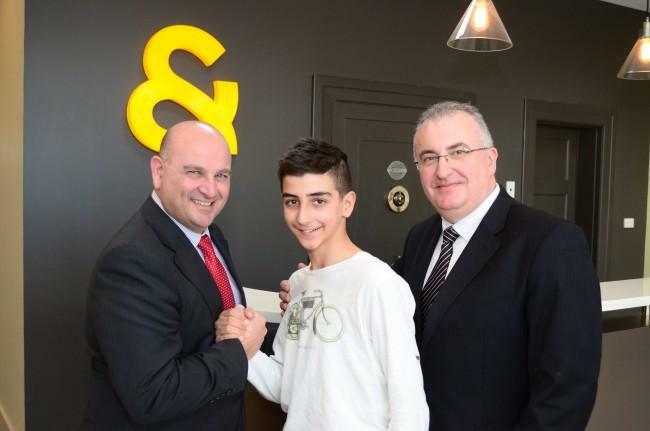 Nicholas Psychogios and Trevor Buhagiar of Raine & Horne Hawthorn, who happen to have a fine appreciation of the performing arts, decided to offer George a generous sponsorship to attend the first Dance Immersive in Hollywood. Nicholas has a combined real estate and financial services background with many years experience helping build clients’ wealth as well as a healthy appetite for entrepreneurial ventures while Trevor has a combined real estate and corporate sales background. Like Nicholas, Trevor is family-orientated and enjoys connecting people to their dream home or investment. This is an amazing opportunity for young Greek Australian triple-threat, George who began acting, singing, and dancing at six years of age. 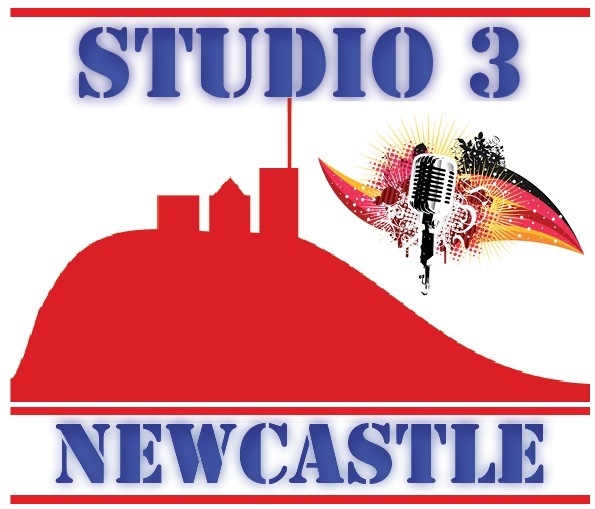 He is currently in the Junior Elite Squad at Patrick Studios Australia training in Hip Hop, Tap, Jazz, Ballet, Musical Theatre, Acrobatics, Vocal, Contemporary and Lyrical. Proud of his Greek/Pontian heritage, George is also part of the Pontiaki Estia Junior Dance Group and has performed in various community events including Greek/Pontian annual dinner dances, local festivities, Fronditha Care and the Antipodes Festival. “I hope to gain experience and exposure in the entertainment industry by working hard,” George, who has been training four times a week, tells Neos Kosmos. His musical theatre debut was in Opera Australia’s ‘The King and I’ (2014) aged 10 years, in which he was the first Greek boy to be cast as principal royal child, ‘Prince Chululongkorn’, starring alongside Lisa McCune, Jason Scott Lee, and Lou Diamond Phillips. A budding screen actor as well, George has featured in several short films. ‘Spill’, in which he plays the supporting role of Steven, recently screened at the St Kilda Film Festival and has been officially selected to screen at the Toronto International Film Festival later this year. This short is currently screening on all domestic Virgin flights Australia-wide. 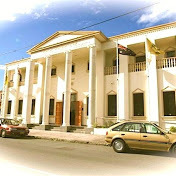 As well as his passion for the performing arts and his commitment to his extra curriculum activities, George is also a very diligent student having received an academic scholarship to study at Patrick Studios Australia’s The Academy: High School of Performing Arts, whereby his passion for the creative arts and learning are combined. “I have other aspirations as well besides dancing and acting,” George enthuses. “I enjoy many subjects at school such as English, literacy, mathematics, science inquiry, humanities, history, and writing. “I haven’t decided yet but if I don’t pursue solely a career in singing or acting I would like to become a lawyer, a scientist, a mathematician or even an astronomer,” he muses. He dreams of travelling the world and to one day be able to use his fame to inspire others and help those less fortunate in life realise their goals. “In terms of musical theatre, I’d feel blessed if I could work with George Mc Cohan on Broadway. I still love school, though,” he says. Ένα μεγάλο ποσοστό των πολιτών της χώρας δεν εμπιστεύεται τους πολιτικούς και δηλώνει δυσαρεστημένο με τον τρόπο που λειτουργεί η Δημοκρατία. Αυτό προκύπτει από έρευνα που διεξήγαγε το πανεπιστήμιο της Καμπέρας μόλις μία εβδομάδα προ της εκλογικής αναμέτρησης. Από τους 1,400 πολίτες που έλαβαν μέρος στην έρευνα το 58% δήλωσε ότι δεν τρέφει πλέον εμπιστοσύνη στην Δημοκρατία και δήλωσε δυσαρεστημένο με τον τρόπο που αυτή λειτουργεί. Όπως ανέφερε μάλιστα ο επικεφαλής της ερευνητικής ομάδας καθηγητής Mark Evans, το ποσοστό των πολιτών που δήλωσε ότι δεν εμπιστεύεται τους πολιτικούς της χώρας είναι το μεγαλύτερο των τελευταίων 20 χρόνων. 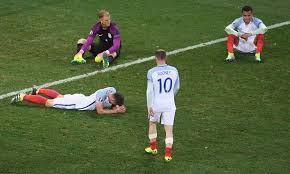 England suffered their worst humiliation since they were knocked out of the 1950 World Cup by USA in Brazil as Iceland shocked them in the last 16 of Euro 2016. Manager Roy Hodgson resigned after the abject embarrassment of losing to a nation ranked 34th in the world – and with a population of just 330,000 – despite taking the lead through Wayne Rooney’s fourth-minute penalty. Iceland equalised within a minute as England failed to deal with a trademark long throw and Ragnar Sigurdsson bundled home from close range. England’s shameful performance was summed up by Iceland’s 18th-minute winner when goalkeeper Joe Hart was badly at fault – just as in the win over Wales – as he let Kolbeinn Sigthorsson’s shot through his hand. Hodgson made changes as Iceland dug in, but the underdogs had as many chances as England before the final whistle blew on their Euro 2016 hopes and his four-year tenure as manager. Is it all Hodgson’s fault? The ultimate responsibility lies with the manager but, make no mistake, he was badly let down by players capable of so much better – not just on this black night for English sport but throughout Euro 2016. Hart has had a nightmare tournament, young hopes such as Harry Kane and Dele Alli failed to live up to their performances last season, and captain Rooney, who had been England’s best player up until this game, chose this night to give one of his worst performances in an international. England were shown up by the work-rate, desire and sheer physical commitment of their counterparts. Yes, Hodgson will take the blame and has paid the price but these highly paid Premier League players should not escape criticism. Football Association chairman Greg Dyke had flagged up a quarter-final place as a minimum requirement, but Hodgson’s England could not even achieve that. Hodgson’s thinking had been muddled even before England arrived in France, with constant changes of personnel and approach exemplified by the sudden re-introduction – and subsequent substitution – of Raheem Sterling, although the Manchester City forward did win the penalty from which Rooney scored. As the game went on, Hodgson cut a detached figure, seemingly powerless to influence the game – and he waited too long to introduce the fearless pace and direct running of Marcus Rashford, who posed more problems in four minutes than most of those who had gone before. Hodgson has never given off any sort of assurance during Euro 2016, unsure of his best team and strategy. England have won one game out of four, with a last-minute winner from Daniel Sturridge against Wales – and this defeat will be a scar forever on Hodgson’s record and reputation. England’s players slumped to the ground in despair and embarrassment when one final corner was wasted and Iceland had completed their landmark win. It left them within range of the fury of England’s travelling support, who had gathered in their thousands as usual in Nice in the expectation of seeing them reach the last 16 of Euro 2016. And they wasted no time in letting England’s players feel their full fury, frustration that had built up throughout the game exploding in anger directed at those who had failed to perform. Goalkeeper Joe Hart held his hands up in apology to no avail as some supporters hurled England shirts and flags in the team’s direction. When England left Brazil after their failure there in 2014, they were actually applauded at the end of a 0-0 draw in a dead rubber against Costa Rica – there was no such escape here as the supporters came to terms with one of the most embarrassing, painful nights in the history of English sport. While England will begin to pick apart a wretched tournament, Iceland will go on to the quarter-finals and undoubtedly the biggest game in their history when they face hosts France at the Stade de France on Saturday. Wales’ quarter-final against Belgium on Friday will be broadcast live on BBC One, with build-up starting at 19:30 BST. England goalkeeper Joe Hart: “As a group it is down to us. All the plans are put in place, we knew everything about Iceland – but ultimately we didn’t perform. Personally I didn’t perform. “It’s not a question of wanting it, there’s nothing we want more – they are just words though. We were in a good place but we haven’t done it. “We will get a lot of flak and we deserve it. We will learn from this and try and bring English football back to where it belongs. We have put it in a low place. England captain Wayne Rooney: “It’s a sad day for us. “Sometimes not always the best team win. Once they got in the lead we knew it would be difficult to get the goal back because they are well organised. “Going into the last 16 facing Iceland we were confident we could win the game. It’s disappointing but we have to move on. “It’s tough. There are always upsets in football – it’s not tactics, it’s just unfortunate. We know we’re a good team. “I can’t stand here and say exactly why it’s happened. 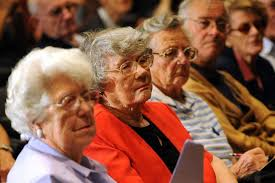 Roy Hodgson will look back and think what he could have done differently. Σε μια κρίσιμη στιγμή για την Ελλάδα και την Ευρώπη οι πολίτες τόσο της χώρας μας όσο και όλων των χωρών, που συμμετέχουν στην Ευρωπαϊκή Ένωση αναρωτιούνται, τι άλλο πρόκειται, να συμβεί και πόσο η κατάσταση μπορεί, να βελτιωθεί ή να χειροτερέψει, επηρεάζοντας άμεσα την καθημερινότητα τους. Το ερώτημα παίρνει ακόμη μεγαλύτερη συμβολική διάσταση πια, μια και η ίδια η ΕΕ έχει ανακηρύξει το 2013 σε έτος Ευρωπαίων πολιτών. Έχει λοιπόν σημασία, να αναλύσουμε, τι κάνει για τους Ευρωπαίους πολίτες και πώς αντιμετωπίζει τα προβλήματα τους αυτή. Η αλήθεια είναι, ότι χώρα μας και η Ευρώπη στο σύνολο της βρίσκονται μπροστά σε ένα κρίσιμο σταυροδρόμι ιστορικών επιλογών, οι οποίες δεν μπορούν, να περιμένουν και αναλόγως των αποφάσεων, που θα ληφθούν ή δεν θα ληφθούν από την κατώτερη των περιστάσεων ηγεσία των χωρών της ΕΕ, θα καθορίσουν το μέλλον των επόμενων γενεών και την πορεία της γηραιάς ηπείρου. Είναι βέβαιο όμως, ότι πλέον η παραμικρή καθυστέρηση μπορεί, να αποβεί μοιραία και να οδηγήσει πιθανόν στο άδοξο τέλος του κοινού ευρωπαϊκού οικοδομήματος, που απειλείται από την αβουλία των ηγετών και την βουλιμία του οικονομικού εθνικισμού των ισχυρών εταίρων, ο οποίος επανέκαμψε δριμύτερος και συνταράσσει τα θεμέλια της ενωμένης Ευρώπης, όπως τουλάχιστον τα οραματίστηκαν οι προπάτορες ιδρυτές της Ευρωπαϊκής Ένωσης, κονιορτοποιώντας τα όνειρα εκατομμυρίων Ευρωπαίων πολιτών για μια ένωση ειρήνης, αλληλεγγύης, δημοκρατίας και οικονομικής ανάπτυξης. Σαν μάντης μάλιστα επερχόμενων δεινών ο απελθών πρόεδρος του Eurogroup και τελευταίος από την σειρά των μεγάλων ηγετών της Ευρώπης, που έχουν δυστυχώς γίνει είδος προς εξαφάνιση κ Γιούνκερ, σε πρόσφατη συνέντευξη του στο γερμανικό περιοδικό Der Spiegel προειδοποίησε για κίνδυνο πολέμου στην Ευρώπη, λέγοντας χαρακτηριστικά, ότι: <<οι δαίμονες του πολέμου δεν έχουν φύγει απλά κοιμούνται>>. Ενώ σε τελευταία του παρέμβαση στην Αθήνα τόνισε:<< “Με φοβίζει η λήθη. Πρέπει να μιλάμε στους νέους για τον πόλεμο και την ειρήνη. Στη λήθη ζουν οι παλιοί δαίμονες της Ευρώπης, τους οποίους μπορούν, να αναβιώσουν χαρισματικοί λαϊκιστές. Το 1914 το μεγάλο κεφάλαιο δεν μπόρεσε, να αποτρέψει τον πόλεμο, που ξεκίνησε από έναν τυχαίο πυροβολισμό. Σήμερα υπάρχουν 60 εστίες πολέμων και η μνήμη της Ευρώπης είναι πολύ μικρή>> και είχε απόλυτο δίκιο. Οι εποχές όμως , που οι ηγέτες των μεγάλων ευρωπαϊκών χωρών πρωτοστατούσαν στην οικοδόμηση μιας ομοσπονδιακού τύπου Ευρωπαϊκής Ένωσης με στόχο την πολιτική ένωση της και την διαμόρφωση μιας κοινής οικονομικής πολιτικής, έχουν δυστυχώς παρέλθει. Η Ευρώπη διαπνέεται από την μίζερη λογιστική αντίληψη και επικράτηση των στενών εμπορικών συμφερόντων του κάθε κράτους -μέλους χωριστά. Σήμερα μετά την καταστροφική για την συνοχή της Ευρωπαϊκής Ένωσης οικονομική κρίση γίνεται επιτακτικότερο το αίτημα, αυτή να ξαναβρεί τον δρόμο της και να θυμηθεί τις πραγματικές αιτίες δημιουργίας της. Οι αλλεπάλληλες διευρύνσεις της δεν συνοδεύτηκαν από την απαραίτητη εμβάθυνση της, με αποτέλεσμα το οικοδόμημα σήμερα, να είναι λειψό και να παραπαίει. Το πρώτο λοιπόν, που επιβάλλεται , να συμβεί, πριν από οποιαδήποτε άλλη διεύρυνση είναι μια νέα διαδικασία εμβάθυνσης, με αλλαγή των συνθηκών και προσαρμογή τους στις σημερινές ανάγκες. Η Ευρώπη ανέδειξε όλες τις αδυναμίες της τα τελευταία χρόνια και αντί να κινηθεί με ταχύτητα, για να τις υπερβεί, κινείται με τους γνωστούς ρυθμούς χελώνας στην αντιμετώπιση τους, με αποτέλεσμα να δίνει καθυστερημένες απαντήσεις σε προχωρημένα προβλήματα. Η Ευρωπαϊκή Ένωση αν θέλει, να ανταποκριθεί στην αποστολή της και στα όνειρα των πολιτών της, χρειάζεται άμεση αλλαγή και μεταρρύθμιση εκ θεμελίων. Το αφόρητο έλλειμμα ηγεσίας της έρχεται, να αθροιστεί στο προϋπάρχον έλλειμμα δημοκρατίας, που την ταλαιπωρεί. Η θηριώδης γραφειοκρατία των Βρυξελλών έχει αυτονομηθεί και δεν ελέγχεται επαρκώς για τις αποφάσεις της από δημοκρατικούς θεσμούς, ενισχυμένους με αρμοδιότητες και εξουσίες. Η κατάσταση άρχισε, να γίνεται δραματική μόλις έγινε φανερό το πρόβλημα δημοσιονομικών ελλειμμάτων και δημοσίου χρέους πολλών χωρών μελών της όπως και η κρίση του τραπεζικού συστήματος. Τότε η Κομισιόν και οι κυβερνήσεις των κρατών μελών διαπίστωσαν, πως δεν έχουν θωρακίσει θεσμικά την Ευρώπη, ώστε να μπορεί, να συνεννοείται και να διαχειρίζεται κρίσεις και απαιτητικές καταστάσεις, όπως η σημερινή. Πως όμως μπορεί, να αντιμετωπιστεί αυτό το ανυπόφορο έλλειμμα ηγεσίας και το ακόμη χειρότερο διαρκές έλλειμμα δημοκρατίας στην Ευρωπαϊκή Ένωση; Είναι αναγκαίο, αφού υπάρξει άμεσα η κατάλληλη προεργασία μεταξύ των κυβερνήσεων των κρατών μελών, να ξεκινήσει μια καινούργια διακυβερνητική διάσκεψη, η οποία στόχο θα έχει την δημιουργία μιας νέας συνθήκης για την ενωμένη Ευρώπη, που θα καταλήξει στις απαραίτητες μεταρρυθμιστικές τομές και στην εμβάθυνση των δημοκρατικών θεσμών της Ένωσης. Χρειάζεται, να προχωρήσει η ουσιαστική ευρωπαϊκή ολοκλήρωση στους τομείς της πολιτικής ενοποίησης και της δημιουργίας μιας πραγματικά ενιαίας εξωτερικής και αμυντικής πολιτικής. Η διαδικασία αυτή οφείλει, να οδηγεί στην δημιουργία μιας ομοσπονδιακού τύπου Ευρώπης, που όμως θα διατηρεί την ισοτιμία των μελών της και δεν θα επιτρέπει την αυθαίρετη ποδηγέτηση της από ισχυρές χώρες, όπως η Γερμανία. Το μόνο που δεν χρειαζόμαστε στην Ευρώπη είναι η γερμανοποίηση της. Για να λειτουργήσει μια ομοσπονδία εθνών-κρατών, σεβόμενη τις ιδιαιτερότητες τους, είναι απαραίτητο, να εγκαταλειφθούν ανιστόρητες οπτικές και παιδικές ασθένειες της ευρωπαϊκής πολιτικής σκηνής όπως και διαθέσεις ηγεμονισμού από πλευράς των ισχυρών κρατών μελών. Αυτοί οι ηγεμονισμοί έχουν εκτροχιάσει το τρένο της Ευρώπης από τις ράγες του και το έχουν εκτρέψει από τον στόχο του. Μια ενωμένη Ευρώπη θα στηρίζεται στον σεβασμό των εθνικών ιδιαιτεροτήτων των κρατών μελών και δεν μπορεί, να είναι υγιής και να πατά σε στέρεες βάσεις, αν έχει ως πρότυπο της την αμερικανική χοάνη και την μετατροπή της σε άχρωμο συνονθύλευμα , που θα πολτοποιήσει τις ιδιαιτερότητες αυτές. Μια τέτοια στρατηγική θα παραγνωρίζει την μεγάλη ιστορία και την δομή των ευρωπαϊκών κοινωνιών και θα είναι θνησιγενής. Άρα απαιτείται, να ακολουθήσουμε τον δικό μας δρόμο οι Ευρωπαίοι, σεβόμενοι την ιστορία μας χωρίς αδόκιμους μιμητισμούς ξένων προτύπων, τα οποία μπορεί, να είναι καλά για ορισμένες χώρες, ασύμβατα όμως με τις ευρωπαϊκές ανάγκες. Πάνω από όλα όμως απαιτείται η οικοδόμηση της σε θεσμούς ισχυρής δημοκρατικής λειτουργίας και αντιπροσώπευσης. Αν δεν επιλυθεί το έλλειμμα δημοκρατικής της λειτουργίας, αυτή η ομοσπονδία δεν μπορεί, να υπάρξει , γιατί θα θυμίζει απολυταρχικά Σοβιετικά μοντέλα αυταρχισμού, όπου τις αποφάσεις τις παίρνει μια ανεξέλεγκτη γραφειοκρατία, που δεν ελέγχεται από κανέναν καθώς και μια πολιτική και οικονομική ελίτ των ισχυρών κρατών, η οποία διορίζει και κατευθύνει αυτήν την γραφειοκρατία. Η Ευρώπη όμως δεν μπορεί, να είναι πραγματικά ενωμένη και ισχυρή, αν δεν στηρίζεται και δεν ξαναθυμηθεί τις αρχές, που ενέπνευσαν τους ιδρυτές της και δεν είναι άλλες από την αλληλεγγύη, τη συνοχή, την ισόρροπη και ειρηνική ανάπτυξη των εθνών–κρατών της, μέσα σε πλαίσια ελευθερίας, δημοκρατίας και ανάπτυξης των πολιτιστικών και οικονομικών σχέσεων των λαών της. Μπορεί λοιπόν πριν λίγα χρόνια, να απέκτησε η ΕΕ κοινό πρόεδρο και υπουργό εξωτερικών, αλλά η εξωτερική της πολιτική κονιορτοποιείται ευκαιρίας δοθείσης στην πρώτη διεθνή κρίση. Για αυτό χρειάζεται η εμβάθυνση της πολιτικής και αμυντικής ένωσης εδώ και τώρα, με έναν κοινό πρόεδρο εκλεγμένο από τους πολίτες της και με μία κοινή κυβέρνηση και πάλι εκλεγμένη από τους λαούς της, αποτελούμενη από χαρισματικούς πολιτικούς και όχι άχρωμους υπαλλήλους και γραφειοκράτες. Έξαλλου η Ευρώπη ήρθε η ώρα, να αποδεχτεί, ότι τα σύνορα της είναι κοινά και η προάσπιση τους κοινή υποχρέωση όλων των κρατών μελών. Άλλως δεν μπορεί, να υπάρχει κοινή εξωτερική πολιτική, όταν θα συγκρούονται τα αντιτιθέμενα συμφέροντα των κρατών και το κάθε κράτος θα χρειάζεται, να υπερασπίζεται μόνο του την ακεραιότητα του. Είναι επίσης αδήριτη ανάγκη η δημιουργία πραγματικά κοινής μεταναστευτικής πολιτικής και η άμεση αντικατάσταση της κατάπτυστης και ετεροβαρούς συνθήκης Δουβλίνο 2, με την οποία οι ισχυρές χώρες της βόρειας Ευρώπης μετέφεραν το πρόβλημα της παράνομης μετανάστευσης με το πρόσχημα της διαδικασίας ασύλου στις χώρες εισόδου των παράνομων μεταναστών, μετατρέποντας τις, όπως την δική μας, σε αυλές παράνομης μετανάστευσης εξαναγκάζοντας έτσι τις χώρες του Νότου, να διαχειρίζονται το δυσβάστακτο αυτό πρόβλημα με την απαράδεκτη μάλιστα υποχρέωση επιστροφής των μεταναστών στις χώρες εισόδου ακόμη και αν αυτοί κατάφερναν, να φθάσουν στις χώρες του Βορρά, που αποτελούν τον κύριο προορισμό τους. Οι Βορειοευρωπαίοι λοιπόν χρειάζεται, να αναλάβουν επιτέλους τις ευθύνες τους και να πάψουν, να παριστάνουν τον τιμητή ή τον Πόντιο Πιλάτο στο ευρωπαϊκό αυτό πρόβλημα και να αδιαφορούν, μιλώντας γενικά για παράνομη μετανάστευση, δίνοντας φιλοδωρήματα για την διαχείριση του προβλήματος στις χώρες του Νότου. Αλλιώς θα είναι υπεύθυνοι για την διάλυση της κοινωνικής και εθνικής συνοχής των χωρών εισόδου και τελικά την ίδιας της ευρωπαϊκής συνοχής. Δυστυχώς το 1992 με την συνθήκη του Μάαστριχτ οι Ευρωπαίοι προχώρησαν ανάποδα την διαδικασία ενοποίησης τους, θεσμοθετώντας κοινό νόμισμα, χωρίς να έχουν εμβαθύνει πρώτα την πολιτική και οικονομική ενοποίηση τους, δημιουργώντας το παράδοξο σχήμα στην οικονομική ιστορία, να υπάρχει νόμισμα, χωρίς να αντιστοιχεί σε κράτος και μάλιστα ενιαίο. Έτσι πίστευε κυρίως η Γαλλία, ότι θα ελέγξει τον μελλοντικό ηγεμονικό ρόλο των Γερμανών, που διαφαίνονταν από τότε. Δεν άργησαν όμως, να φανούν οι συνέπειες αυτής της επιπολαιότητας και στην πρώτη μεγάλη κρίση αυτό το νόμισμα έγινε βραχνάς για τις αδύναμες οικονομικά χώρες του ευρωπαϊκού Νότου και της περιφέρειας. Χωρίς η Ευρώπη να έχει μια ενιαία οικονομική διακυβέρνηση και πολιτική, με ανοιχτούς και σε άνοδο τους οικονομικούς ανταγωνισμούς και τα αντικρουόμενα συμφέροντα των μελών της, προσποιούνταν παράλληλα, ότι είναι ενωμένη κάτω από την επιφανειακή ομπρέλα του κοινού νομίσματος, το οποίο οικοδομήθηκε σε προβληματικά θεμέλια. Κομβικό ρόλο σε αυτήν την περαιτέρω αναγκαία ολοκλήρωση της Ευρωπαϊκής Ένωσης θα παίξει, η ενίσχυση του ευρωκοινοβουλίου με πραγματικά αποφασιστικές και όχι μόνο ελεγκτικές αρμοδιότητες, ώστε οι όποιες αποφάσεις, να είναι αποτέλεσμα πραγματικά δημοκρατικών θεσμών και διαδικασιών. Δεν αρκούν οι σημερινές αρμοδιότητες συναπόφασης ή ελέγχου του κοινοβουλίου, για να παίξει αυτόν τον ουσιαστικό ρόλο για την λειτουργία της Ευρώπης. Επίσης θα χρειαστεί η εναρμόνιση της οικονομικής, φορολογικής και αναπτυξιακής πολιτικής των κρατών μελών και μια ενιαία οικονομική διακυβέρνηση, που εσχάτως ανακάλυψε μέχρι και η Γερμανία, η οποία πριν λίγα χρόνια την αρνούνταν κατηγορηματικά. Η οικονομική αυτή διακυβέρνηση, θα απαιτηθεί, να πάρει την μορφή ενιαίων θεσμών με ουσιαστική δημοκρατική νομιμοποίηση, οι οποίοι δεν νοείται, να αποτελούν το μακρύ χέρι της Γερμανίας ή άλλων ισχυρών χωρών, για να επιβάλουν την πολιτική τους στους μικρούς. Ή θα έχουμε μια Ευρώπη πραγματικά ισχυρή και δημοκρατικά λειτουργούσα με ισοτιμία των μελών, απαλλαγμένη από στενές και ατελέσφορες λογιστικές αντιλήψεις, ή η Ευρώπη αργά ή γρήγορα θα αποσυντεθεί. Την ενιαία αυτή οικονομική διακυβέρνηση χρειάζεται, να κατευθύνουν θεσμοί και πρόσωπα εκλεγμένα και όχι διορισμένοι γραφειοκράτες–υπάλληλοι των ισχυρών χωρών, όπως επιθυμούν σήμερα κάποιοι, για να ελέγξουν αυταρχικά ολόκληρη την ένωση. Για να γίνει αυτό είναι απαραίτητο, να αποκτήσουμε κοινή δημοσιονομική πολιτική, κοινή φορολογική πολιτική, κοινό ταμείο αντιμετώπισης κρίσεων και διαχείρισης του χρέους, με κοινοτικοποίηση μέρους αυτού και όλα αυτά, να υπόκεινται στον σχεδιασμό και των έλεγχο δημοκρατικά εκλεγμένων θεσμών. Δεν είναι δυνατόν τον ρόλο του διαχειριστή της κοινής οικονομικής πολιτικής, να τον αναλαμβάνουν διορισμένοι επίτροποι, αλλά απαιτούνται άμεσα εκλεγμένα θεσμικά όργανα από τους πολίτες της Ευρώπης. Είναι όμως αυτονόητο, ότι όταν θέλουμε κοινή αντιμετώπιση των προβλημάτων υπερχρέωσης χωρών της Ευρώπης, δεν μπορούμε παράλληλα, να αρνούμαστε την εναρμόνιση των οικονομικών μας πολιτικών, γιατί και όσοι χρηματοδοτήσουν από θέση ισχύος το εγχείρημα θα θέλουν, να εξασφαλίσουν, ότι με τα χρήματα των πολιτών τους δεν θα μπορεί κανείς, να παίζει. Έτσι από την μία θα πρέπει, να συμβάλουν με την οικονομική τους ευρωστία τα ισχυρά κράτη σε πνεύμα πραγματικής αλληλεγγύης και από την άλλη σε πνεύμα ευθύνης τα αδύναμα, να τακτοποιήσουν τα οικονομικά και δημοσιονομικά τους προβλήματα. Στα πλαίσια λοιπόν και της φορολογικής ενοποίησης χρειάζεται η δημιουργία ενιαίου φορολογικού συστήματος με χαμηλούς όμως φορολογικούς συντελεστές, ώστε η Ευρώπη να δώσει απάντηση στο πρόβλημα ανταγωνιστικότητας, που όντως έχει και να γίνει θελκτικός προορισμός για την δημιουργία επιχειρήσεων, που τώρα μεταφέρουν την έδρα τους σε άλλους προορισμούς. Είναι υποκριτικό η Γερμανία, να ολοφύρεται για την χαμένη ανταγωνιστικότητα και ταυτόχρονα να επιβάλλει αυξήσεις φόρων στις περιφερειακές χώρες, ούτε μπορεί αυτή, να ανακτηθεί με εξουθενωτικές μειώσεις μισθών στην γραμμή της κινεζοποίησης τους και της εξαθλίωσης των εργαζομένων. Η ΕΕ πρέπει, να σταθεί στον ανταγωνισμό με προϊόντα ποιότητας και όχι συναγωνιζόμενη ευτελή προϊόντα, που παράγονται σε μεσαιωνικές συνθήκες εργασίας. Εξάλλου είναι απαραίτητο, να προχωρήσει επιτέλους και η τραπεζική ένωση της Ευρώπης παρά τα εμπόδια, που βάζει η Γερμανία, γιατί οι τράπεζες της δεν επιθυμούν την εποπτεία από έναν ευρωπαϊκό οργανισμό, όπως η ΕΚΤ μια και έχουν και αυτές μεγάλα ανοίγματα και σκοτεινά σημεία διαχείρισης, όπως η Deutsche Bank. Η τραπεζική αυτή ένωση, για να δημιουργηθεί προαπαιτεί την άμεση δημιουργία κοινής εποπτικής αρχής των ευρωπαϊκών τραπεζών, κοινής αρχής διάλυσης των χρεοκοπημένων τραπεζών και ένα ευρωπαϊκό ταμείο εγγύησης καταθέσεων στις τράπεζες αυτές παράλληλα με τα εθνικά ταμεία εγγύησης καταθέσεων, στα οποία θα συμμετέχουν υποχρεωτικά όλες οι τράπεζες με κάποιο ποσό την περίοδο λειτουργίας τους, έτσι ώστε να διασώζονται οι καταθέσεις μέχρι ένα ορισμένο σεβαστό ύψος τουλάχιστον αν και θεωρώ, ότι πρέπει να γίνει προσπάθεια , να διασώζονται εάν είναι δυνατό αυτές στο σύνολο τους, για να μην υπάρξει διαρροή από τις τράπεζες των περιφερειακών χωρών της Ευρωζώνης. Την ζημία όμως είναι καιρός να αρχίσουν, να πληρώνουν οι διοικήσεις, οι μέτοχοι και οι ομολογιούχοι επενδυτές των τραπεζών όπως και οι κάτοχοι τοξικών προϊόντων. Ακόμη πρέπει, να αποφασίσουμε επιτέλους, ότι σε καθεστώς ελεύθερης οικονομίας δεν μπορεί, να διασώζονται χρεοκοπημένα τραπεζικά ιδρύματα με τοξικά προϊόντα, κρατικοποιώντας με αυτόν τον τρόπο τις ζημίες τους και αυξάνοντας το χρέος των κρατών, που αναλαμβάνουν, να δανειστούν, για να τα διασώσουν. Αυτός ο φαύλος κύκλος δεν επιτρέπεται , να συνεχίζεται, διότι οι τράπεζες αυτές ακολουθούν το μοντέλο ιδιωτικοποιούμε τα κέρδη και ομνύουμε στην ελεύθερη αγορά όταν έχουμε ανάπτυξη, κρατικοποιούμε όμως τις ζημίες μας, όταν έρχεται η ώρα του λογαριασμού για άφρονες τακτικές μας. Στην χώρα μας κάποιες δυνάμεις, χρειάζεται, να επιλέξουν, τί θέλουν πια, γιατί δεν είναι λογικό , από την μία να υπερασπίζονται το μοντέλο της Ισλανδίας, που άφησε τις τράπεζες, να χρεοκοπήσουν, χωρίς να αναλάβει τα χρέη των υποκαταστημάτων τους στο εξωτερικό και από την άλλη όταν η Ευρώπη αποφασίζει, να ακολουθήσει σε κάποιο βαθμό το μοντέλο αυτό, να ολοφύρονται. Βεβαίως στα πλαίσια ενός σχεδίου δράσης και ανακεφαλαιοποίησης τραπεζικών ιδρυμάτων μετά την ίδρυση της τραπεζικής ένωσης, θα χρειαστεί, να αποφασιστεί οριστικά επιτέλους η ανακεφαλαιοποίηση τους απευθείας από οργανισμούς, όπως ο ESM και ο δανεισμός των τραπεζικών ιδρυμάτων, να επιβαρύνει αυτά και όχι να αναγκάζονται τα κράτη μέλη, να δανείζονται για λογαριασμό τους, αυξάνοντας το δημόσιο χρέος τους. Αυτός ο φαύλος κύκλος τραπεζικής κρίσης, που μετατρέπεται εύκολα σε κρίση χρέους των χωρών μελών, πρέπει, να σπάσει. Στα πλαίσια μια τέτοιας λύσης θα μπορούσε και η Ελλάδα, να επωφεληθεί και έτσι να αποφασιστεί η αναδρομική εφαρμογή ενός τέτοιου μέτρου, ώστε τα 50 δις της ανακεφαλαιοποίησης των ελληνικών τραπεζών, να μην βαρύνουν το ελληνικό δημόσιο χρέος, όπως σήμερα. Για να γίνουν τα παραπάνω πράξη, θα χρειαστεί πολιτική γενναιότητα από τις ηγεσίες των ισχυρών κρατών-μελών, οι οποίες επιβάλλεται, να καταλάβουν, ότι οι χώρες τους ευνοήθηκαν σκανδαλωδώς από το πολύ σκληρό κοινό μας νόμισμα, που έχει δημιουργήσει προβλήματα στις χώρες της περιφέρειας με τις αδύναμες οικονομίες και απαιτείται μέρος των κερδών τους, να το διαθέσουν για την διάσωση του. Για αυτό ο ESM θα χρειαστεί, να έχει κεφάλαια 2 τρις ευρώ και όχι όπως σήμερα κεφάλαια μόνο 500 δις, τα οποία αποτελούν σταγόνα στον ωκεανό των προβλημάτων της ευρωζώνης. Μόνον έτσι θα μπορεί, να καλύπτει άμεσα την ανακεφαλαιοποίηση των τραπεζών, που θα κρίνει, πως πρέπει και μπορούν να διασωθούν, όπως και να παρεμβαίνει στις αγορές ομολόγων αποτελεσματικά, για να βοηθήσει τις χώρες με προβλήματα χρέους με απευθείας αγορά ομολόγων. Όπως επίσης για κάποιες από τις χώρες της ευρωζώνης, η έκδοση ευρωομολόγου από την ΕΚΤ θα μπορούσε, να ηρεμήσει τις αγορές και να καταστήσει βιώσιμη την συνέχιση της συμμετοχής τους σε αυτήν. Ήρθε η ώρα η Ευρώπη, να πάψει, να αργοπορεί και να αντιμετωπίζει μίζερα το ζήτημα, γιατί αν δεν το έχουν καταλάβει τα ισχυρά αλαζονικά μέλη της, τα θεμέλια του κοινού νομίσματος έχουν πάρει φωτιά, από την οποία δεν θα γλιτώσει κανείς. Φλέγον εξάλλου ζήτημα είναι και αυτό της κοινωνικής και περιφερειακής συνοχής της Ευρωπαϊκής Ένωσης. Η ανεργία γιγαντώνεται, λόγω εφαρμογής λανθασμένων και αδιέξοδων οικονομικών συνταγών, αφού 26 εκ πολίτες της είναι άνεργοι και μεταξύ αυτών 5,6 εκ κάτω των 25 ετών, ενώ η κατάσταση σε χώρες όπως η Ελλάδα και η Ισπανία είναι εκτός ελέγχου με την ανεργία των νέων πάνω από 50% και σε κάποιες περιφέρειες, όπως της Δυτικής Μακεδονίας, να κάνει πρωταθλητισμό με ανεργία των νέων κάτω των 25 στο εγκληματικό 72,5%, ξεπερνώντας ακόμη και την Θέουτα της Ισπανίας, όντας πλέον πρώτη σε όλη την ΕΕ. Με αυτόν τον τρόπο η ευρωπαϊκή συνοχή αποδομείται και μία γενιά απειλείται με εξαφάνιση του μέλλοντος της. Απαιτείται η άμεση ενεργοποίηση ευρωπαϊκών προγραμμάτων για την αντιμετώπιση αυτού του προβλήματος και δεν αρκούν τα ψιχία των προγραμμάτων ύψους 6 δις ευρώ στα πλαίσια του ευρωπαϊκού προϋπολογισμού της περιόδου 2014-2020, ούτε οι ευρωπαϊκοί θεσμοί επιτρέπεται , να συνεχίσουν, να κρύβονται πίσω από το επιχείρημα, ότι η ανεργία και η κοινωνική πολιτική είναι θέμα του κάθε κράτους- μέλους και μόνο επικουρικές μπορεί, να είναι οι δράσεις τους. Άλλωστε το 2012 υπογράφηκε το σύμφωνο απασχόλησης με φτωχά αποτελέσματα μέχρι σήμερα και αυτό θα έπρεπε, να έχει ανησυχήσει σοβαρά ήδη του ηγέτες της ΕΕ. Ούτε μπορεί, να κρύβουν το πρόβλημα κάτω από το χαλί των προγραμμάτων μαθητείας ή προσωρινής και εξευτελιστικά αμειβόμενης εργασίας, που προβλέπονται ως δράσεις. Χρειάζονται ριζικές και ολοκληρωμένες λύσεις άμεσα σε ευρωπαϊκό επίπεδο χωρίς δισταγμούς, αλλιώς η νέα γενιά θα εκραγεί και θα διασαλευθεί η κοινωνική ειρήνη πολλών χωρών μελών, όσο βλέπει τα όνειρα της να κονιορτοποιούνται. Ευρωπαϊκή συνοχή δεν μπορεί, να υπάρξει χωρίς κοινωνική συνοχή και πρόληψη της παραπάνω <<γενοκτονίας>>. Εδώ τίθεται και το ζήτημα της περιφερειακής συνοχής καθώς μάλιστα μόλις πρόσφατα κατέληξαν σε συμφωνία τα κράτη –μελη για τον προϋπολογισμό της ΕΕ της περιοδου 2014-2020. Είχαμε μάλιστα σε ευρωπαϊκό επίπεδο περικοπή κονδυλίων για το σύνολο της Ευρώπης, ενώ οι συνθήκες απαιτούν ενίσχυση των διαρθρωτικών ταμείων και των πολιτικών συνοχής. Είναι άλλο πράγμα βέβαια η καταπολέμηση της σπατάλης στα πλαίσια του προϋπολογισμού της ένωσης, η οποία είναι απαραίτητη για να τιθασευθεί το έλλειμμα της ΕΕ και άλλο πράγμα η ενίσχυση των πολιτικών συνοχής και αλληλεγγύης. Οι ανισότητες μεταξύ των ευρωπαϊκών περιφερειών διευρύνονται και πλέον αν συνεχιστεί αυτό ο ρυθμός θα δημιουργηθεί χάσμα αγεφύρωτο μεταξύ Βορρά –Νοτου από την μια και περιφερειακών χωρών και κεντρικών από την άλλη. Αυτό θα σημάνει και την έναρξη αποδόμησης της ίδιας της Ευρωπαϊκής Ένωσης. Η πρόσφατη συμφωνία για προϋπολογισμό της ΕΕ ύψους 997 δις ευρώ για την περίοδο 2014-2020 είναι ατελέσφορη και κατώτερη των περιστάσεων και των προσδοκιών των Ευρωπαίων πολιτών. Η αναθεώρηση της θα καταστεί επιτακτική ανάγκη όπως και η διάθεση περισσότερων κονδυλίων για τα διαρθρωτικά και κοινωνικά ταμεία, αν δεν θέλει η πολιτική τάξη τη Ευρώπης, να βάλει ταφόπλακα και να οδηγήσει στην διάλυση της Ένωσης. Ας ελπίσουμε ότι η ιστορική αναγκαιότητα και οι πιεστικές απαιτήσεις των καιρών θα οδηγήσουν στην ανάδειξη σοφών ηγετών στην Ευρώπη, οι οποίοι θα την κατευθύνουν, να βρει ξανά τον χαμένο δρόμο της και θα διασώσουν το όνειρο, βουτώντας ξανά στα νάματα των θεμελιακών αρχών ίδρυσης της χωρίς αμφιταλαντεύσεις. Τότε θα μπορούμε, να δημιουργήσουμε μια Ευρώπη ισοτιμίας, αλληλεγγύης, δημοκρατίας και ελευθερίας πραγματικά και όχι εικονικά ενωμένη. Nigel Farage has been heckled in the European Parliament after telling its members they were “in denial”, and predicting Britain would not be the last country to leave the EU. He said Britain’s vote to leave the EU had been “remarkable” and “seismic”, “not just for British politics, for European politics, but perhaps for global politics too”. “What the little people did, what the ordinary people did, what the people who have been oppressed over the last few years and seen their living standards go down … they rejected big politics, and they said ‘actually, we want our country back’. “I make one prediction this morning: The United Kingdom will not be the last member state to leave the European Union. 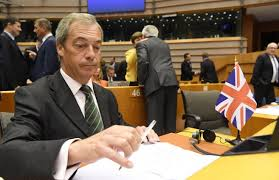 Earlier, European Commission president Jean-Claude Juncker asked the UKIP leader why he had attended the session. 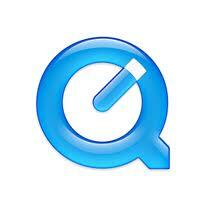 “That’s the last time you are applauding here … and to some extent I’m really surprised you are here. You are fighting for the exit. The British people voted in favour of the exit. 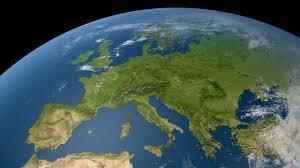 Why are you here?” Juncker said, breaking from his speech text. He urged Britain to explain quickly what it wanted from the EU in terms of a new relationship but insisted he had told his staff to engage in no preliminary talks with British officials until London engages the two-year mechanism for leaving the EU. Meanwhile, German Chancellor Angela Merkel warned Britain the union would not tolerate “cherry-picking” in upcoming negotiations on their future relations. “The EU is strong enough to withstand Britain’s withdrawal,” she told Parliament ahead of a crisis summit of the 28 member states in Brussels. She expressed her regret that Britain had voted in a referendum last week to quit the bloc, but underlined that it would not be able to dictate the terms of its ties to the EU. “We will ensure there are no negotiations based on the principle of cherry-picking,” she said to applause. “There must be and will be a noticeable difference between whether a country wants to be a member of the European Union family or not. Ms Merkel also said access to Europe’s common market depends on “accepting Europe’s fundamental freedoms and the other rules and commitments that go with it”. “This applies to Britain as it does to everyone else,” she said. A non-EU country can join the common market if its accepts the freedoms of people, goods, services and capital, she added, mentioning the example of Norway. Three in four Greek university graduates have left the country in the past six years in search of better job prospects abroad, and most intend to settle down in their new place of residence for good, a new study looking at past and present trends has found. The path of migration has never been easy, though, and many educated Greeks may spend several months in a foreign country without a job, relying on support from their parents back home, a trend that was even more marked before the start of the crisis in 2010. Moreover, the profile of the migrating Greek has also changed dramatically today compared to the massive migration waves in the first two decades after World War II. According to a recent study conducted by the University of Macedonia and supervised by Lois Labrianidis, a professor of economic geography and Greece’s general secretary of strategic and private investment, of the 185,388 Greek university graduates who departed the country from 1990 to 2015, 139,041 have left since 2010. Also, up until the late 1980s, the majority of migrants left only with their middle school diploma, while in the 1990s most had a high school diploma, and from the start of 2000 to the present, almost 75 percent had at least one university or technical college degree. The study, which was funded by the London School of Economics, found that in the 2010-15 period, wealthy Greeks constituted 9 percent of the total number who migrated abroad, even though this category of household made up just 2 percent of the sample surveyed. Migration, experts stress, is an expensive process that requires funds. However, the decline in incomes and the rise in unemployment over the past few years has led to a spike in migration by low-income Greeks, who constitute 28 percent of outflows since 2010. Moreover, while the unemployed made up only a small percentage of outflows before 2010, this has now shot up to 50 percent. The majority of emigres find a new job relatively quickly abroad, the study found, with 81 percent securing employment within the first six months of moving. One in five, however, were unable to find work and either returned to Greece or stayed in the hope that something would come up. For 72 percent of Greeks who moved abroad, their new jobs were based on their academic qualifications, while 21 percent have found work in unrelated fields. The study also found that while the most popular countries for Greeks looking for work abroad in the post-WWII years were Germany, Australia and the US, today they are willing to try their luck further afield, moving to the Middle East and Asia, though European Union countries are the most popular choice. Up until 2009, the majority of emigres were 30 years old or under and did not have any dependents, meaning it was easier for them to make the move. In the 1970s, in fact, this category represented 95 percent of the total. Since 2000, though, there has been a steady increase in the number of Greeks aged up to 30 leaving the country, making up 46 percent of total departures in 2010-15. The Greek state pays an average of 95,000 euros for every student who graduates from the Athens School of Medicine, making it the most expensive degree among Greek universities. The cost of studies at the National Technical University of Athens, meanwhile, comes to above 50,000 euros. Moreover, in the 2010-15 period, the number of emigres with costly university degrees shot up compared to the 1960-2009 period, yet just 13.7 percent of the country’s work force is made up of university or college graduates. The expert says that much of the present situation can be attributed to structural characteristics of the economy, such as the small size of businesses, the absence of synergies between companies, poor performance in innovation and low exports. Labrianidis says that the emphasis of the new strategy that will be presented to the government will be a departure from the model of high-intensity, low-innovation sectors and a greater focus on exports. The study made some more interesting findings, such as the fact that in the 2010-13 period, of the total of 454,177 who left Greece, 223,885 were Greeks and the remaining 230,232 were migrants in Greece. 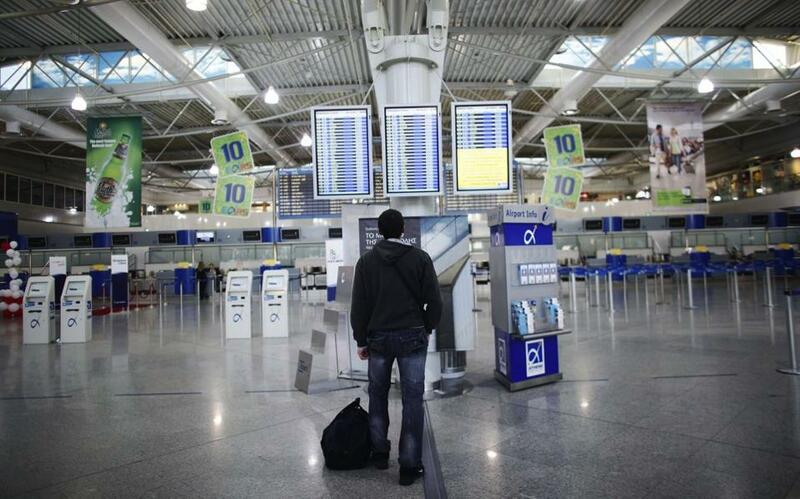 Foreigners, in fact, started the outgoing trend, as in 2010, of the 119,985 people who left, 76,663 were foreign nationals, the majority Albanian. In the 1960s, moreover, 67 percent of Greeks who had emigrated worked to send money to help their families back home. Today, just 18 percent of Greeks working abroad can afford to send money to their families in Greece. 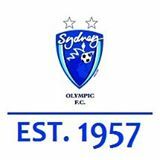 Sydney Olympic believe they have unearthed a gem after announcing the signing of former Schalke midfielder Rene Klingenburg as the wave of young foreign players to the state leagues shows no signs of slowing down. The often forgotten fields of the National Premier League NSW are now blossoming into fertile grounds of talented visa-players who are prepared to gamble on breaking into the A-League via these semi-professional clubs. Klingenburg, 22, follows the arrival of 13 players from Japan and South Korea who left the pathways of their more established football systems at home in pursuit of professional contracts this season. After falling out with the Bundesliga giants’ youth ranks after clashes with staff and teammates, Klingenburg opted for a fresh start in Australia and joined Olympic for the remainder of the season where he hopes to impress professional clubs. A-League clubs were notified of his ability after just one training session with Olympic but overseas markets are also proving an incentive for the foreign players. Olympic president Bill Papas believes it’s not just the lure of the A-League, but also the growth of the Asian market where clubs in South East Asia are becoming regular buyers of players in the state leagues. It’s a significant gamble for foreign players considering so few graduated to the A-League from the state leagues, with Fabio Ferreira and Hiro Moriyasu the notable success stories. Tasuku Sekiya is one of the Japanese players lighting up the state leagues, emerging as one of the shining lights in an otherwise disappointing season for APIA Leichhardt. The fleet-footed forward was playing for lower league Japanese club Wesada United where he was noticed by former Australian-based player, Naoki Imaya, and offered the opportunity to further his development in Australia. Sekiya has done his cause no harm this season but even if he fails to become a full-time professional in the A-League, he will go home with what he regards as two valuable assets: learning English and strengthening his weaknesses. Blacktown’s Japanese star Shu Sasaki was crowned second best in last year’s NPL NSW season and hopes his second year will finally help him achieve his dream of playing professionally. “I just wanted to get an experience as a professional player or as a semi-professional player. I didn’t care about money so much. 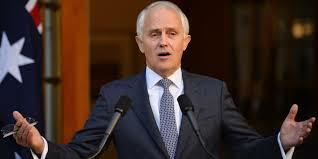 NSW Premier League is not a low level, it’s developing,” he said. Melbourne Victory has been confirmed to play Spanish giants Atlético de Madrid at Geelong’s Simonds Stadium on Sunday 31 July. Atlético de Madrid will be in Australia competing in the International Champions Cup Australia, presented by Audi against Tottenham Hotspur, and will play Victory as part of an extended pre-season tour Down Under. Victory is scheduled to take on Italian Series A champions Juventus in the ICC tournament at the MCG on Saturday 23 July. The announcement is a major win for football fans in regional Victoria, following the success of Victory’s Hyundai A-League home-and-away matches in Geelong in the last two seasons. The club is also scheduled to play Newcastle Jets at Simonds Stadium in Round 8 of the 2016/17 campaign. “We are proud to have the opportunity to test ourselves against some of the best club sides in the world,” said Victory CEO Ian Robson. “We’re thrilled to play this game against Atlético de Madrid in Geelong, a region we’ve had a close association with, particularly over the last few seasons. The people of Geelong have been magnificent in their support of Victory, and we look forward to that continuing. “We encourage all of our fans to support us in our matches against Juventus and Atlético de Madrid, in what is a rare opportunity to witness some of the world’s best players in Australia,” he added. The tour match will be the second time Simonds Stadium has featured an international fixture after Victory hosted an AFC Champions League qualifying play-off against Thailand club Muangthong United in 2014. “Atlético de Madrid is one of world football’s most powerful clubs. It was only weeks ago Atlético was battling out the UEFA Champions League final in Milan, and now Geelong beckons,” said the Hon John Eren MP, Minister for Tourism and Major Events; Sport and Veterans. Atlético de Madrid, the 2013/14 La Liga champions, recently overcame the likes of Bayern Munich and Barcelona to reach the UEFA Champions League final for the second time in three years. This followed an impressive La Liga campaign where the club finished third behind Barcelona in one of the strongest competitions in world football. Melbourne’s University’s Dr Petronella Nel will be presenting a lecture on ‘Ancient Cypriot Pottery – Analysis and Preservation’ this week as part of the Greek Community of Melbourne’s Greek History and Culture Seminars. 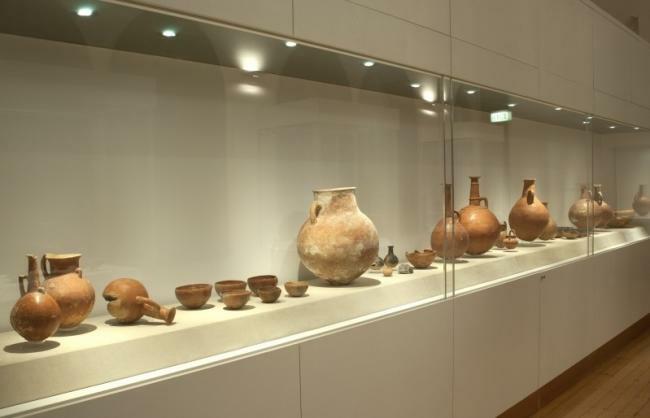 Set to take place at the Greek Centre on Thursday 23 June, the presentation will explore a Cypriot pottery collection excavated in the early 20th century. Since its discovery, it has been used in exhibitions and as a reference in training archaeology students and archaeological research. More recently however, the collection has found a new role in the field of cultural materials conservation, given that many of the reconstructed vessels feature old repairs, which are now failing, making vessels difficult to store or handle, and unavailable for exhibition. Since the advent of the masters program in cultural materials conservation in 2004 at the University of Melbourne’s Grimwade Centre for Cultural Material Conservation (GCCMC), the collection has been used to train conservation students. The lecture will also reflect on the collection’s role in an ARC funded project, which illustrated how use of the collection has evolved over time, and how conserving objects complements research into adhesive testing, potentially altering the types of adhesives used on archaeological pottery. Given her role as a lecturer, researcher and objects conservator at the GCCMC, Dr Nel’s presentation will give greater insight into the Cypriot collection and its continued benefits in the modern world. The lecture will take place on Thursday 23 June at the Greek Centre, Level 3, 168 Lonsdale Street, Melbourne, VIC at 7:00 pm. Attendance is free of charge.